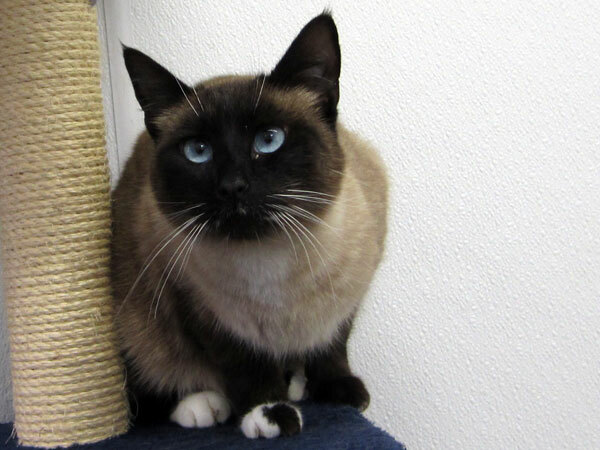 Forget Me Not Shelter Blog » Featured cat: SASSY! « Featured cats: our leftover kittens! Sassy’s ideal home will be a calm, quiet haven. She doesn’t seem to mind other cats, so could fit in well with an existing zen-like kitty, but will probably do best without a frenetic kitten pouncing on her. She will be expected to hide – she likes to hide inside boxes, tents, bags, anywhere “cave-like” – but will venture out when she knows it is safe and just you. Sassy will probably never be the sort of cat your friends and relatives will see – they may not even believe she exists, as she scoots for cover as soon as a “stranger” approaches – but that just makes the relationship you build with her that much more special. If you have the sort of peaceful retreat that will soothe Sassy’s jangled nerves and give her the calm vibe she needs, Sassy will love to join your home and peer out at you from in or under whatever hidey-holes you provide… until that glorious day when she will suddenly jump up onto your bed, and you’ll know you are worthy (ha).